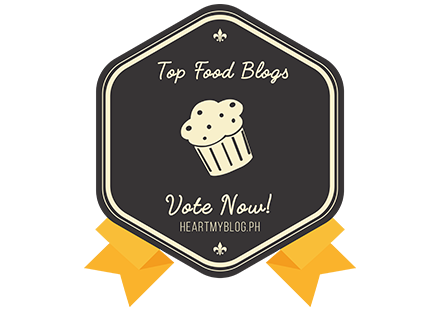 Pork and Corned Beef Sopas Recipe (Macaroni Soup) – Eats Yummy! Sopas is the Filipino version of minestrone soup. It is loved by Filipinos and a handy recipe when looking for easy breakfast ideas. 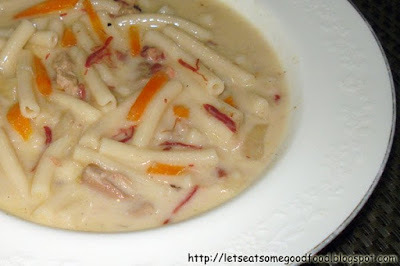 One of the easiest and common Filipino food recipes, this macaroni soup may be served as a ‘meryenda’ or afternoon snack and of course, can be complete food meal as well. Being a popular Filipino dish, it is usually available in small eateries or restaurants around the country. There are common ways to cook sopas, but we used pork and corned beef instead of chicken for this easy macaroni recipe. Simple breakfast recipes are usually what people prefer thus we thought of sharing this and hoping that it will help people in cooking at home. When thinking of easy breakfast recipes, this soup recipe surely will come to mind, especially with Filipinos. As you can have this in less than an hour, this can also be added to your list of easy dinner recipes for two. It is best to serve in cold weather and will definitely make you feel warm in and out. – 2 cups macaroni of your choice. Elbow macaroni is the most common. – 1/4 kilo pork, chopped into strips or small pieces almost similar to a menudo cut. – Bring to boil 10 cups water in a big pot. – Add the macaroni and simmer for 15 minutes or until the macaroni is soft and tender, add more water as needed. – Heat oil in a separate pan and saute garlic and onion. Add pork and corned beef, and stir cook for 2 minutes. After which, add some fish sauce and stir cook for another 2 minutes. – Now add sauteed pork and corned beef to the macaroni soup and simmer for about 2 minutes, do not cover. – Then, add the carrots and simmer for another 2 minutes. – Put some salt and pepper to taste. – Lastly, pour the evaporated milk and cook for another 2 minutes. Try the quick and easy dinner recipes like this and let us know your experience by commenting below. Feel free to share our post as well if you find it helpful. Looks like this soup delicious with a texture that fits, can be trying because there are many ingredients and spices in my market place, and for pork would I replace it with beef. Success is always for a friend with the original cooking recipes from the Philippines. almusal ko ito ngayon ah! I am definitely a soup person. I love soup and I will try your recipe.